Product #18555 | SKU MM-AIR | 0.0 (no ratings yet) Thanks for your rating! 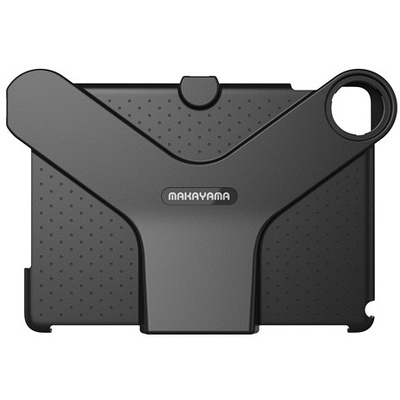 Use the Makayama Movie Mount to shoot better video with your iPad Air 1/2, 9.7" iPad Pro. It's a mount that allows you to attach a tripod for stable shots, pan and tilt movements, or using the iStopMotion for iPad app to create stop motion animation. You can also use some 37mm conversion lenses like wide angle and zoom for enhanced flexibility. The mount works with accessories like shotgun microphones, optical viewfinders, and video lights. Featuring a 9° working angle, you can easily use iMovie and edit with Avid. You'll be able to stand your iPad upright, allowing you to use its screen as a monitor. If you download the free Movie Mount app to your iPad, you can manually control your video recording. Additionally, the Movie Mount is compatible with Apple's Smart Cover in case you already have one on your iPad.